This stitchery is part of my Monthly Camper Embroidery Series. 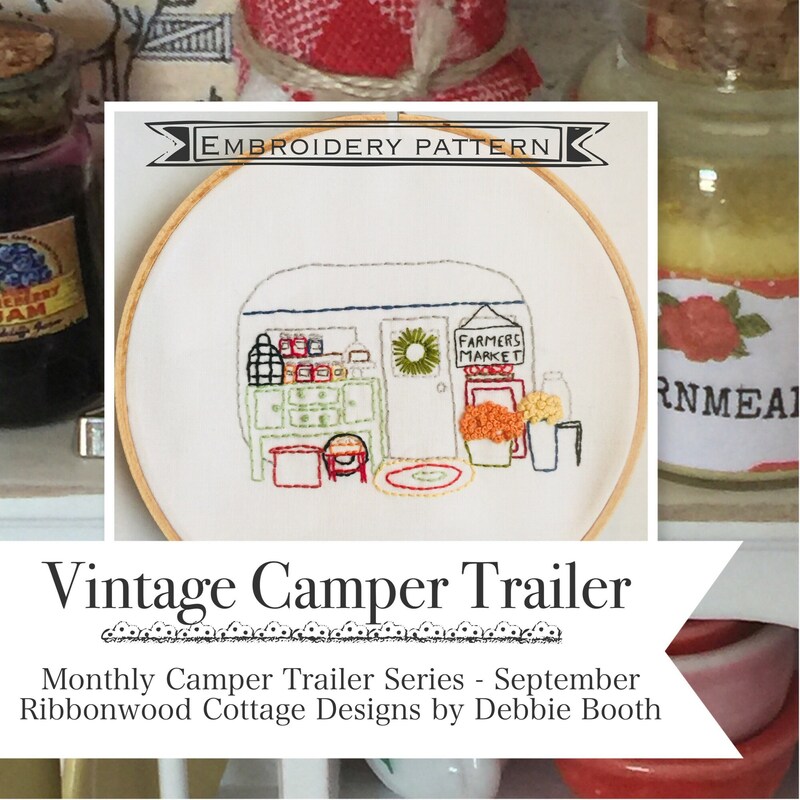 Included are photos and directions for embroidering the September Camper design and finishing it off into Hoop Art. The September design reflects the end of summer. The fruit and harvest of gardening and canning the remainder of the fruit into jam, jellies and preserves. Fall mums are starting to bloom in the flower cams and vases. The colors are deep rich and muted. Fun and easy to stitch. Everything in this series is meant to be simple. Simple to stitch and simple to complete. The design is the focus. There is a basic backstitch that is used that outlines the design using different shades of embroidery floss. DMC Embroidery floss is the floss used in this design. It has a wide range of colors and shades and is easily found in most craft stores. Once the transaction is completed the design and link are provided to you for download. There is nothing physical that will be sent to you in the mail.